The leaked American diplomatic cables released by whistleblower WikiLeaks this week have not only taken the world’s governments and financial markets by storm, they have also caused a stir in the Pakistani cyberspace, with Pakistan topping the global charts for ‘WikiLeaks’ searches on Google. Pakistan’s obsession with the news is no secret. Being Pakistani means being accustomed to the many ‘happenings’ that provide fodder for a booming news media industry. Whether it is bomb blasts, natural disasters, match-fixing scandals, crime, corruption allegations or military operations – the news media is never short of things to report and Pakistani viewers and readers are provided with a healthy diet of news to feed off a huge appetite that has been built up throughout the years of a developing media. Among the top 20 most visited websites by Pakistani internet users according to Alexa, four are news websites belonging to mainstream media outlets. And when it is about secrets contained in leaked diplomatic cables, the value of the news seems to increase all the more. Statistics collated by Google Trends revealed that Pakistan had the highest number of searches for WikiLeaks in the past seven days (as on December 1). Italy follows second to Pakistan with 18 per cent lesser searches. Next come in Finland, Israel, Estonia, Turkey, United Arab Emirates, Norway, Algeria and Poland, respectively. 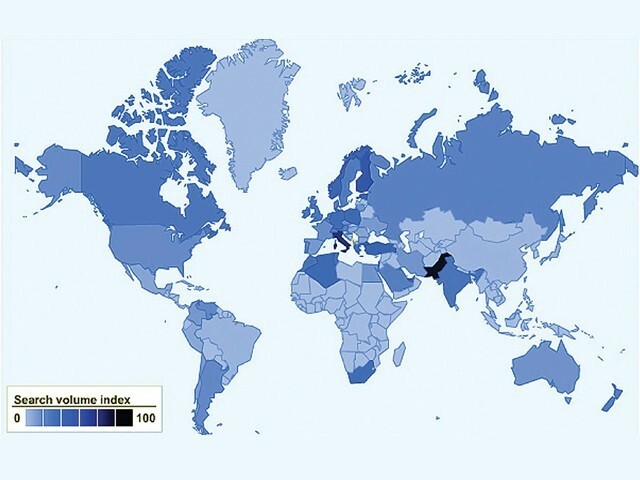 The statistics point to the importance being given to WikiLeaks by Pakistani internet users compared to those of any other country. They may, however, not be a very reliable representation of the situation as the sample for these results is based only on searches done on the Google website, ignoring WikiLeaks related content reached directly through news and other related websites.